In Texas, as you know, everything is big. 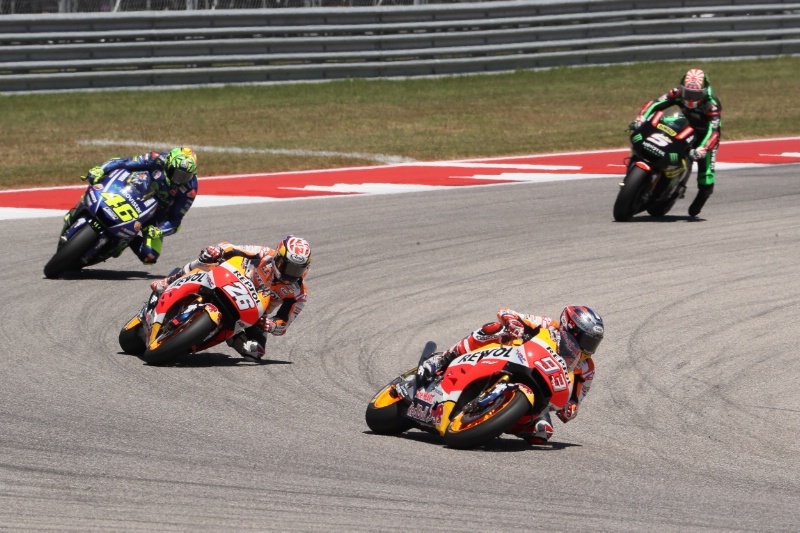 The longest straight in the MotoGP world championship puts aerodynamics and brakes under pressure, but the Nolan Group riders have been at the forefront once again. With Danilo Petrucci bringing his Ducati to the finish at 8th, thanks to an aggressive race. Unfortunately not all riders were able to perform, our new rider Alex Rins was out with injury – wishing him a full and speedy recovery. Hopefully he’ll be back riding with us again soon. Very good race also for Syahrin finishing 11th in Moto2 and Bastianini in Moto3, the latter protagonist till the finish line and pulling off a 4th place finish whilst at it beating a lot of the regular top finishers! Also impressive riding from the young German Jonas Folger, finishing 12th in race 1!